The As-Built designs outlines the documentation deemed acceptable for transfer of the Pit and Pipe to a Carrier. Carriers may require the information to be prepared in specific drawing formats (i.e. 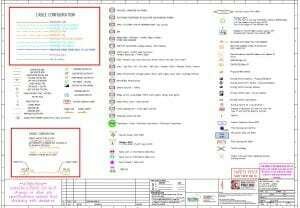 CAD) and/or use of particular symbols for each network element. The developer is responsible for the construction of Pits and Conduits, and prior to the transfer of ownership of the Pits and Conduits from the Developer to the Carrier, the as-built documentation must be prepared by the Developer for hand over to the Carrier at the time of transfer. The location of all allotment and street boundaries. The location of all Pits and Conduits, relative to known fixed assets e.g. allotment boundaries. The sizes of all Pits and Conduits. The depth of cover for Conduits, measured as actual soil or back fill depth and does not include coverings (for example paving). 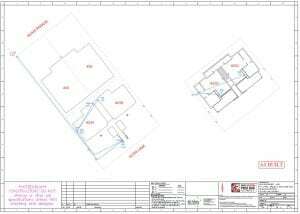 Details from any Shared Trench Agreement, including trench cross sections with all services within 2 metres of the installed Pits and/or Conduit. Results of any mandrel testing for each Conduit section. Legend with Pit types and dimensions. 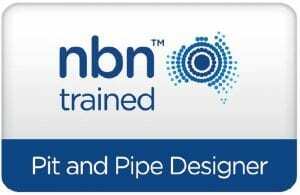 In PDF and DWG for Telstra & NBN Applications. Do you need your final design (As-built) of your Lead-in / Pit & Pipe Telstra / NBN Complaint?